Sometimes, it takes me a while to make my way to a new restaurant, even if I am desperate to try it. I put this down to having too long a shopping list of places to visit (or maybe I am just slow!). Take Bocca di Lupo for instance – it look me months after it opened before I finally went. 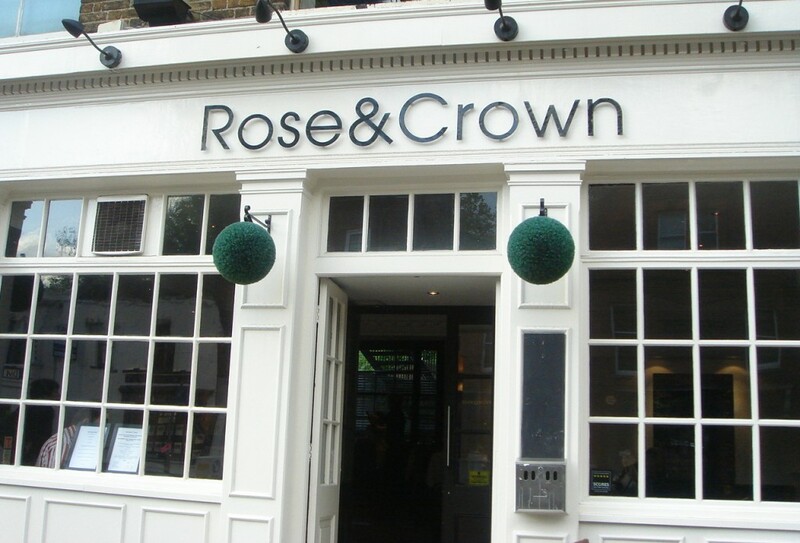 And Rose & Crown, a restaurant which opened in Highgate in February was no different in this respect. What initially caught my eye about Rose & Crown back in February was that the Chef and proprietor, Gareth Thomas, had trained under Jean-Christophe Novelli at Auberge du Lac; at Le Quartier Francais, a boutique hotel and restaurant in the Franschhoek region near Cape Town, South Africa, and which was at the time number 46 in the San Pellegrino World’s 50 Best Restaurants; and under Gary Rhodes at the Michelin-starred Rhodes 24. It’s not a bad CV, which led me to wonder if I might be onto a winner. And seeing as there are so few reviews written on it, I was also wondering if I would be the one to uncover an undiscovered little gem. Make haste I thought, try and be a good little blogger, go before anyone else beats you to it. But no, in my usual slow crawl mode, I only made it there last week, some 3 months after I first heard about it. The restaurant, which serves Modern British food with a French influence, is housed in a 400-year-old building on Highgate High Street and was once one of the oldest pubs in north London. Its back bar was at one point known as the “Royal Box”, for during the 17th and 18th centuries, it was often frequented by royalty. The restaurant now sports a two colour décor system of black and white: black chairs, white tables, dark wood floors, etc. It’s nicely done, but in the evenings, the indoor lighting is perhaps a little too bright for it to be considered entirely intimate. 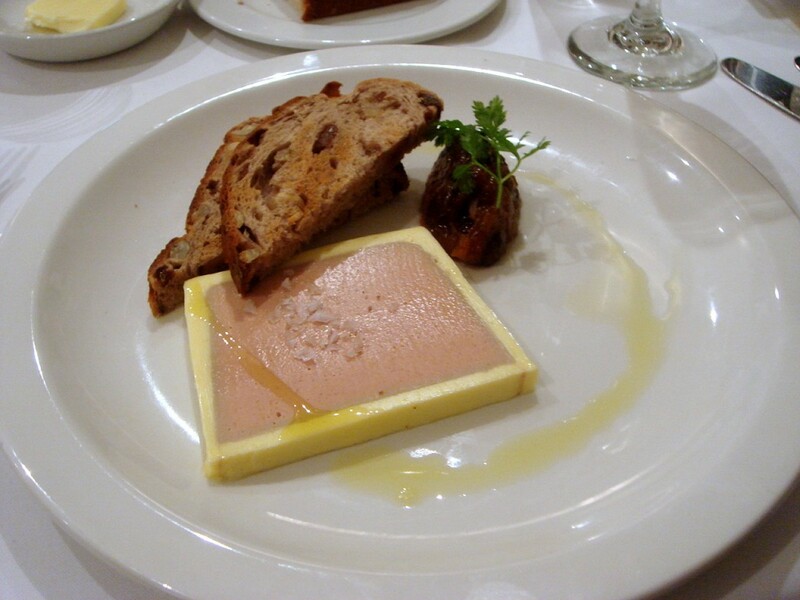 We started with a chicken liver and foie gras parfait with apple and pear chutney (£7.50), which came highly recommended by the waitress. This had a smooth and creamy texture, and was packed full of liver flavour. The chutney tasted homemade, had a lovely kick to it and was not too sweet. This turned out to be the winning dish of the evening. Our second starter of trio of salmon – beetroot cured, seared and tartar – with orange butter sauce (£7.50) also came highly recommended. The seared salmon was bland, and worse yet, did not taste fresh. It was not off, but reminded me of one-day-old salmon. On to the tartare – this was pleasant, but was more a mixture of capers and shallots with a little bit of added salmon, than a tartare rich with salmon. The beetroot cured salmon (gravalax) was lovely, delivering on its promise of beetroot, and was the best of the three. The orange sauce made for a nice garnish, but with the cured salmon being the only one of the three that I really enjoyed, I found this dish disappointing. A main of new season Welsh lamb rump (£16.50) was a little chewy in parts. 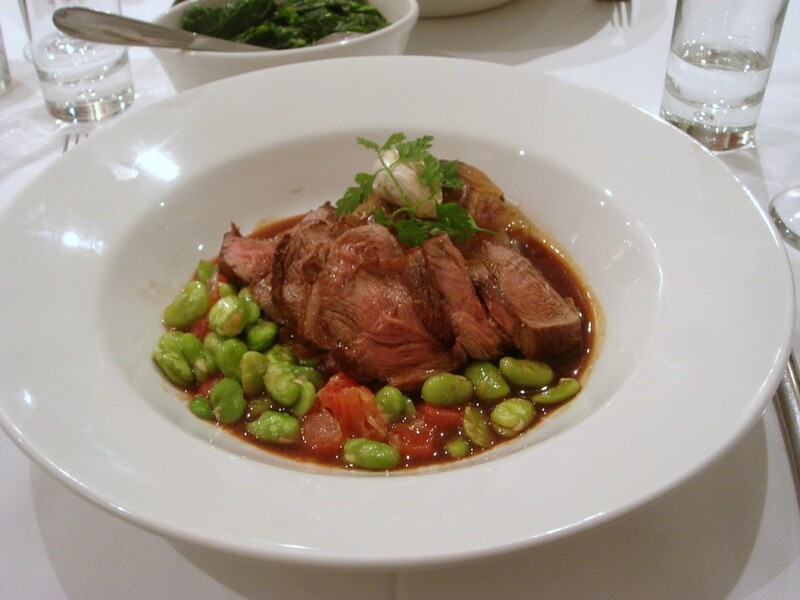 It came with boulangère potatoes, spring vegetables (broad beans and tomatoes) and lamb jus. The potatoes had been overcooked to the point where they were too soft and almost mushy. The lamb jus was pleasant enough, but was peculiar for it was sweet, rather than savoury. It also lacked the strength and depth of a good jus. The vegetables were fine, although the broad beans could have perhaps done with 30 seconds more cooking. Conceptually, the dish worked, but it lacked coherency and good technical execution. Next up was a pan fried Pollack (£13.50). The fish was under seasoned and again did not taste quite fresh, as if it, too, was a day old. It came with fondant potatoes, which were again overcooked; and a sweetcorn and porcini ragout which was sweet and tasted rich with cream. The heavy use of cream in the ragout made it difficult to identify the flavour of the porcini mushrooms in the dish, and the way in which the ingredients had been combined turned out an unbalanced final result. Our side of spring greens (£2.50) were lovely – cooked just right, with a bit of crunch, and nicely flavoured with butter. 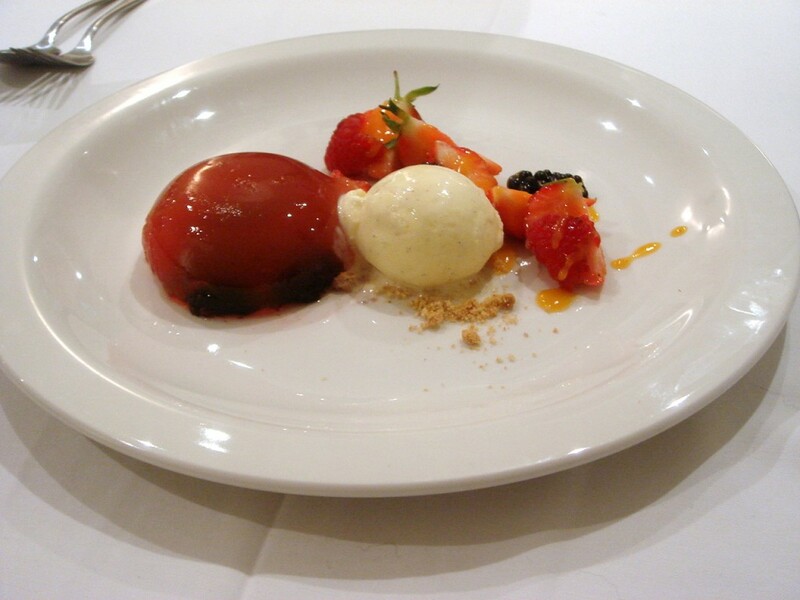 Better was the dessert of rose wine jelly, summer fruits and vanilla ice cream (£5.50). The fresh sweetness of the fruits gave it a lovely summery feel and the jelly had a nice zing to it. Service was thoughtful and attentive throughout the evening. We were served by two waitresses, one of whom was particularly nice, and who went out of her way to be helpful. 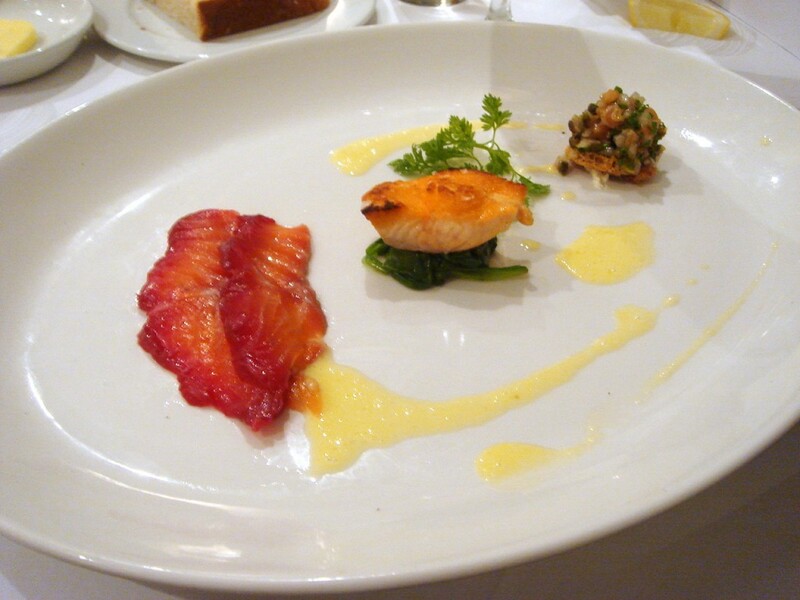 While the parfait and the desserts were lovely, I begrudged the use of fish that did not taste entirely fresh, the overcooked potatoes and the poor saucing of the mains. The flavours of individual ingredients were not allowed to shine through, and tasted muddled rather than complementary. But in some respects the meal was pleasant enough. Other than the not-so-fresh fish, it didn’t necessarily taste bad, it just wasn’t well executed. Alas, it did not turn out to be the undiscovered gem that I had hoped for. And as it is located in Highgate, outside of Central London, it’s not a destination you would necessarily make a special trip for, although it’s acceptable as a local. So do as I did when I first heard about it. No need to make haste. 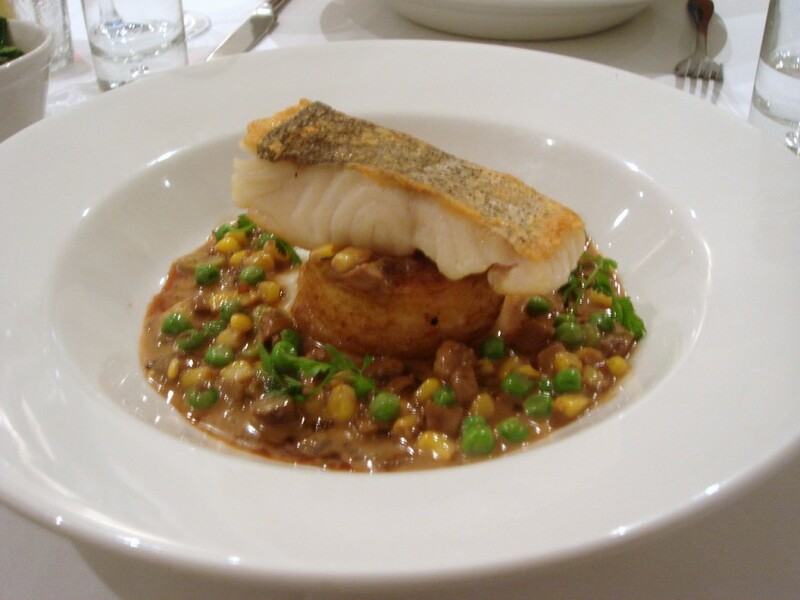 Price range – from £22 to £30 for three courses. There is also a limited choice set menu of 2 Courses for £15, or 3 Courses for £20. Excludes drinks and service. I don’t think the Rose & Crown will survive long in this current market, it’s curiously empty whenever I go past. It’s always been a bit of a mystery to me why Highgate (and indeed Hampstead) seems unable to sustain a quality restaurant scene. There isn’t much of culinary interest at all – just chain restaurants Strada, Zizzi, Cafe Rouge etc, or up-market pub-restaurants like The Bull (Highgate) and the Wells (Hampstead). What we’d love around here is a mid-priced bistro-style restaurant serving fresh seasonal dishes. If anyone has any recommendations I’d love to hear them! The desserts do look good! I don’t know if you’ve seen yet, my latest post about wine jelly actually, used in a savory recipe. But I ate the remainder of the wine jelly with vanilla ice cream yesterday and it was really good too! Lol… at least the pollock did taste of something. I find it to be one of the blandest fish ever. Natasha, Yes of course! Great idea for this time of year. I just dont always comment. Sorry! Genuineness, You are just too funny! Yes it is very bland. Hmm – that’s a bit of a ‘no’, then, really, innit? Disappointing, especially when the proprietor’s CV gives you good reason to hope for good things. Hi Loving Annie, Thanks! I always try and be honest! Spaghetti, yes its a no. Yes, hopefully the next one.